Hello! 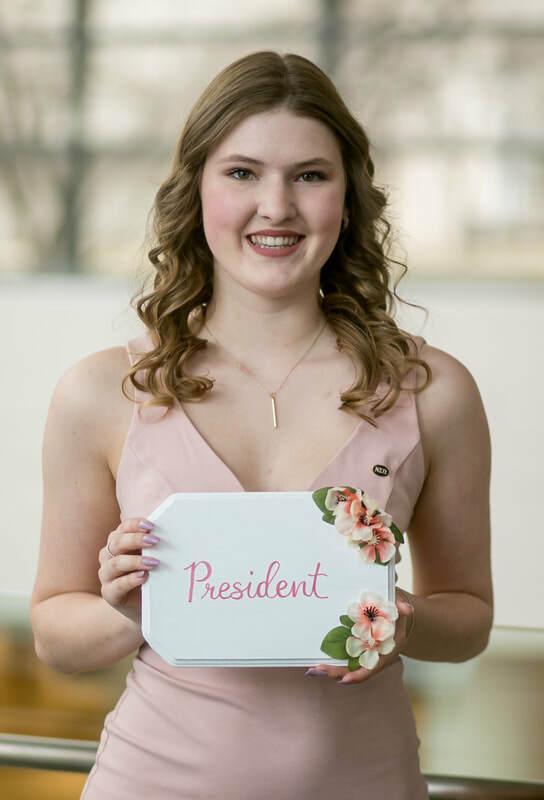 My name is Kelsey Barrette and I am Nu Sigma Pi’s President for the 2018-2019 school year. I am in my third year at the University of Ottawa studying Psychology (B.A. en psychologie). I joined Nu Sigma Pi alongside 10 strong women in Alpha Xi class, in the fall of 2016. Coming from the small town of Cochrane in Northern Ontario, I wasn’t too sure what a sorority was. I quickly learned that sororities are about developing bonds with more girls than you could ever imagine and finding a home away from home. Nu Sigma Pi has allowed me to find a diverse group of women that have helped me develop so many skills and will forever be my lifelong friends. I am so proud of Nu Sigma Pi and all that she stands for. I hope to see you during our winter rush and can’t wait to get to know you!